I really didn’t know or have that much experience with electric bikes. 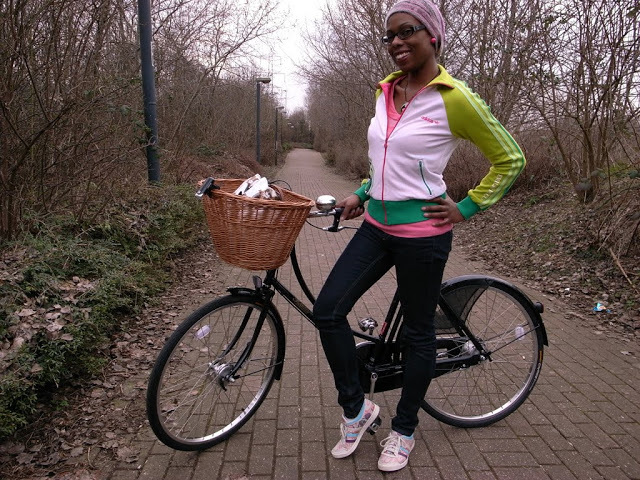 I’d only ever been on an e-bike once and that was back in 2014… and not for very long either. It was just a quick ride on quiet London side street to give it a whirl. Fast forward four years, and my own opinion on them has definitely formed after spending a whole day riding around on one… in Amsterdam! 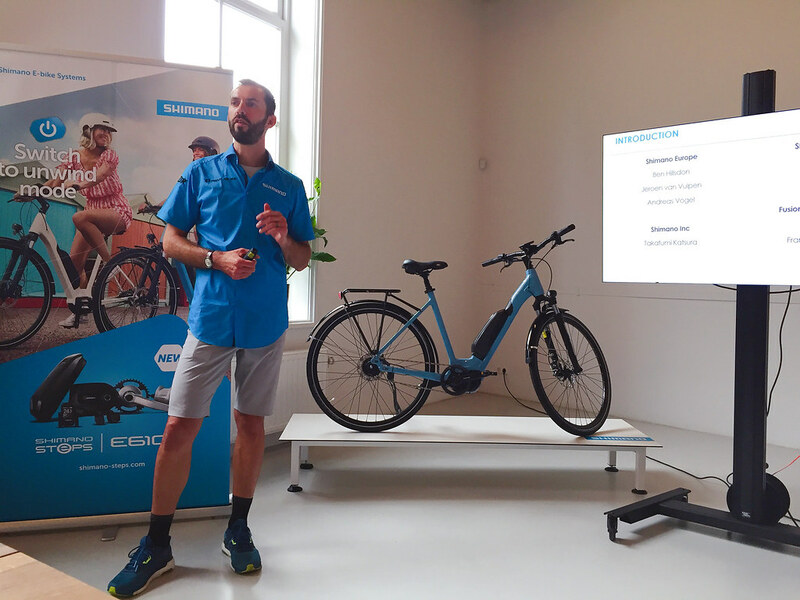 I was invited by Shimano to join them on the Dutch leg of their STEPS (Shimano Total Electric Power System) European cities tour, and test out their new E6100 e-bike system. 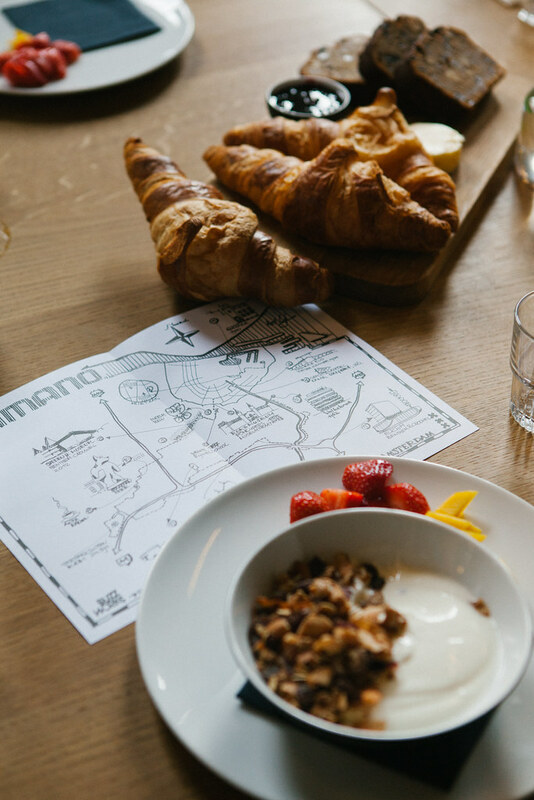 I met with the Shimano team and the rest of the riders the at NewWerktheater for a pre-ride breakfast, and to learn more about STEPS. 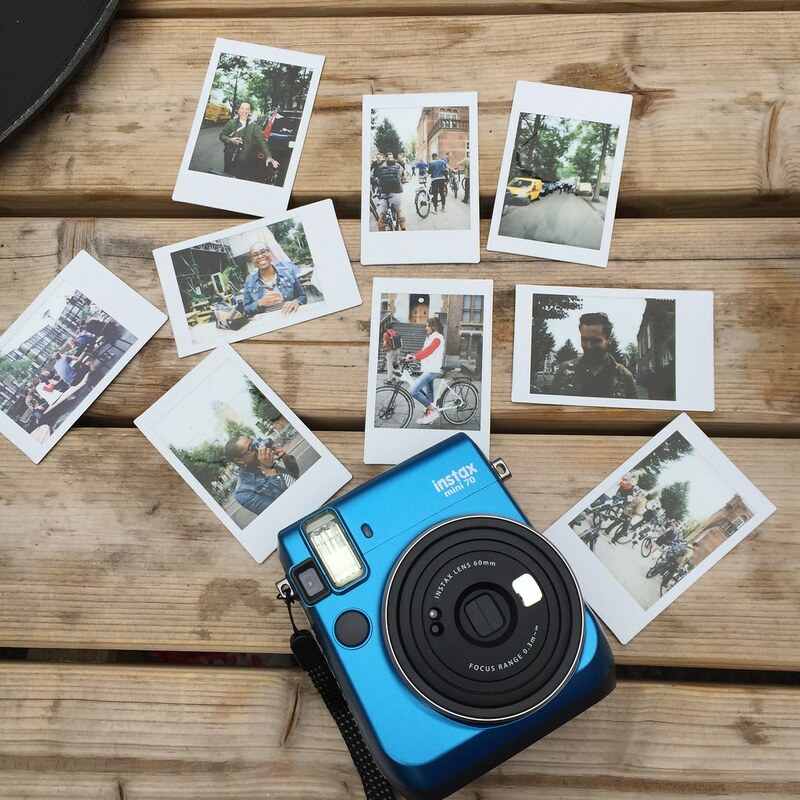 The E6100 is a premium set of components that are installed on an e-bike to deliver a fully enhanced riding experience. Some of the rather fancy features of Shimano’s latest system include Di2 electronic shifting and a fast-charging, compact down-tube Li-Ion battery (with the option of either 418Wh or 504Wh capacity). 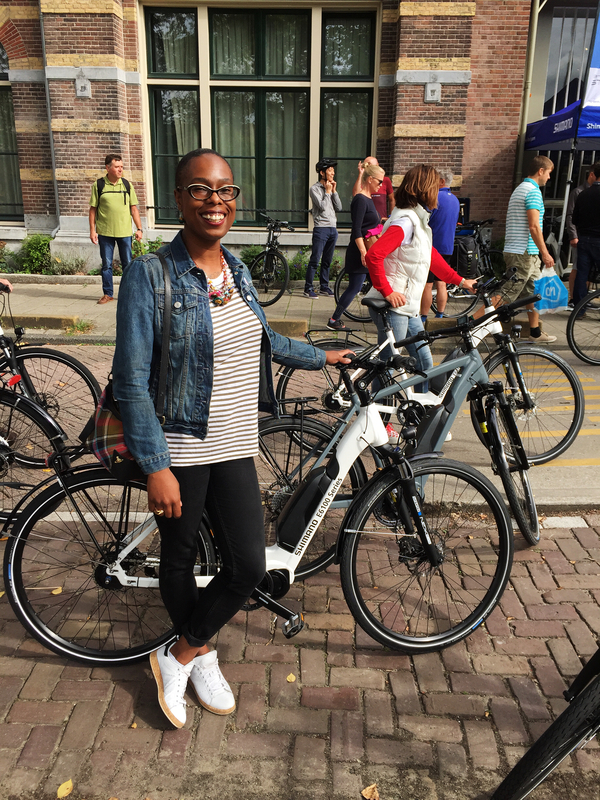 Having never ridden in Amsterdam before (even though its been my dream cycling destination since starting VCG) and not spending longer than 5 minutes on an e-bike, I’m not ashamed to admit that I had a few concerns: like if it went flying from underneath me, or I got confused by the control panel on the handlebars! 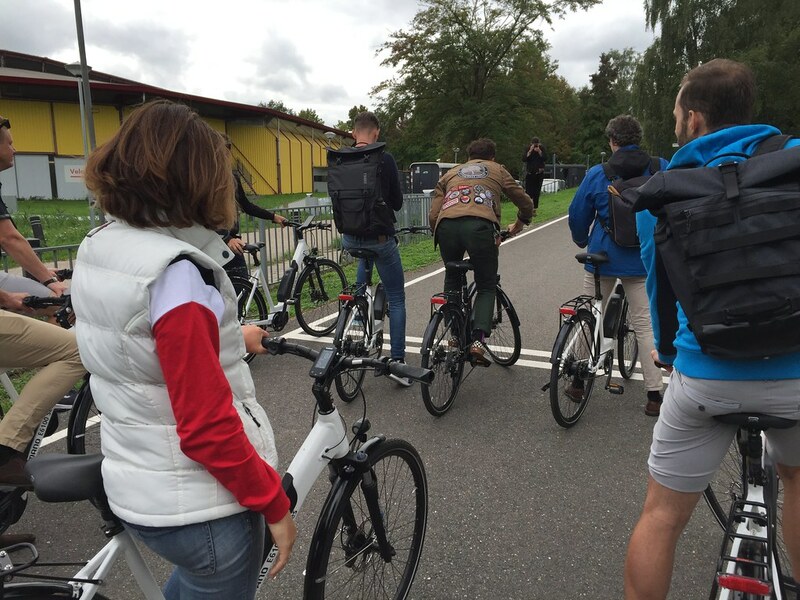 A bike-fit and a run-through of the controls with one of the Shimano team put any worries I had to rest, and we set off from the NewWerktheater to cycle around the city. 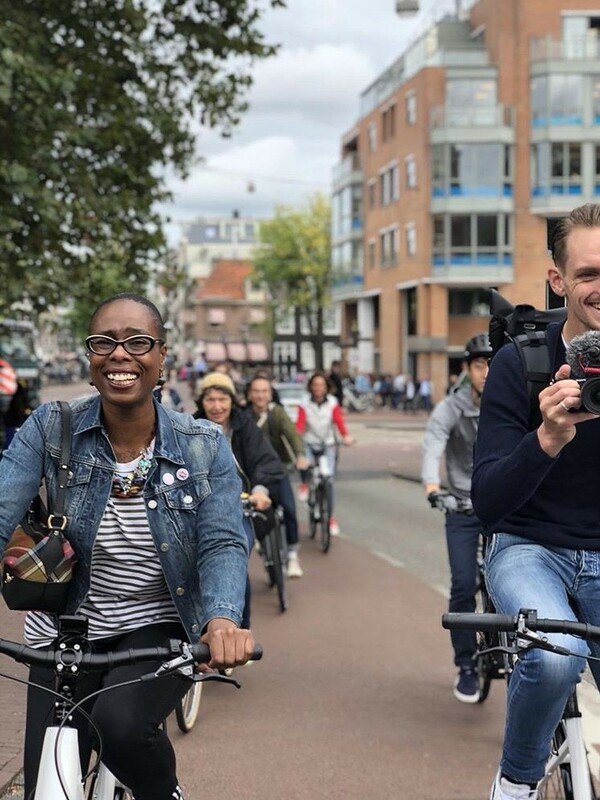 Riding around Amsterdam was wonderful – being in one of the most bike-friendly cities in the world was a true eye-opener: both in regards to infrastructure / traffic and what the cycling culture is like out there. 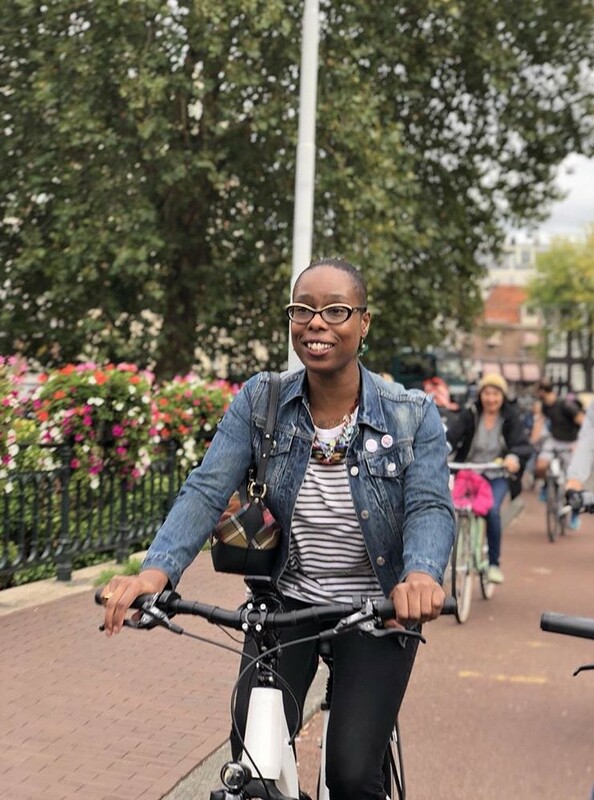 The route itself was beautiful, taking in iconic landmarks… and with the ease of the e-bike, it didn’t feel like I’d cycled 35km! 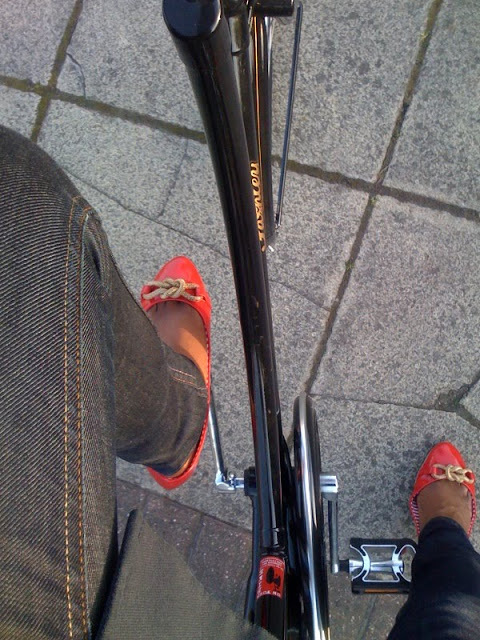 Cycling using the E6100 STEPS System was one of the smoothest bike rides I’d ever experienced. 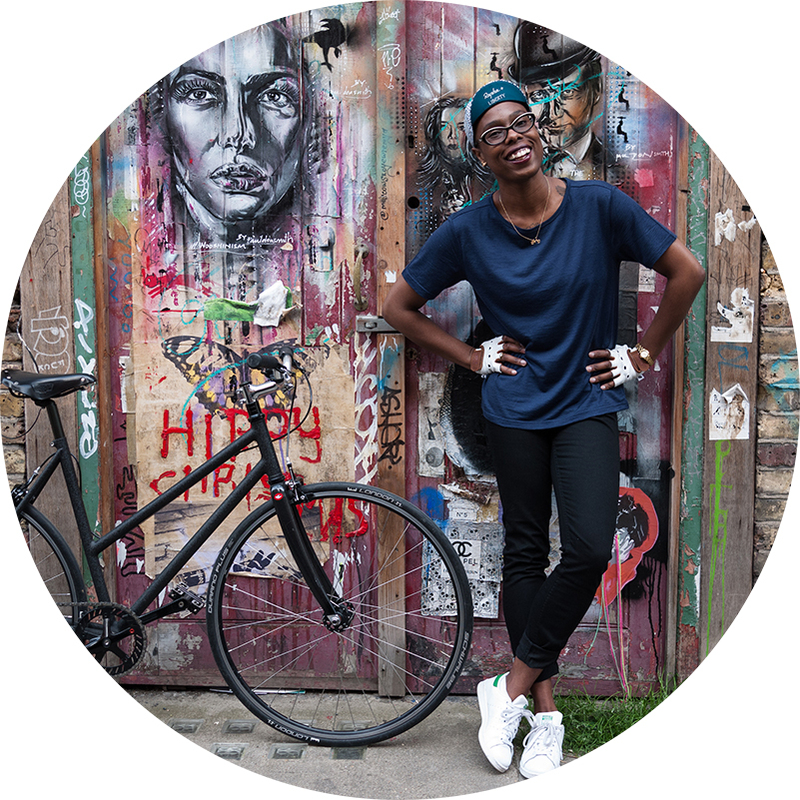 Even though I had a run-though of the controls earlier that day, it was very straight forward while out on the road – especially when using the fully automatic shifting and gear adjustment… meaning no worries about changing what gear I was in! Another feature about that I really enjoyed was the system will automatically shift down to a lower gear as you stop at traffic lights, and give you that extra surge when the lights go green again for an easy start. Of course you are still making the bike ‘go round’ by pushing the pedals, and if you didn’t want to use the automatic shifting, there is the option to change the gears yourself. I gave that a go to familiarise myself with that during the day, and I can tell you, that also felt as smooth as melted butter. 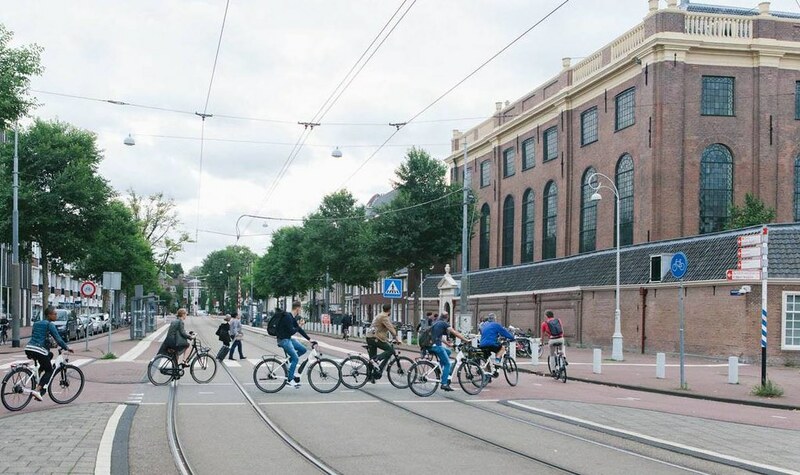 Although cycling in Amsterdam is pretty flat, there were a couple of occasions where I needed to get off the bike and walk it for a bit (like squeezing through some tight gaps and barriers that could only be tackled by foot). The ‘Walk’ mode feature on the E6100 system made this even easier – as the bike is a little weighty, this will make it even easier to push it if you did find yourself in a much more hilly situation and needed to give it a push. 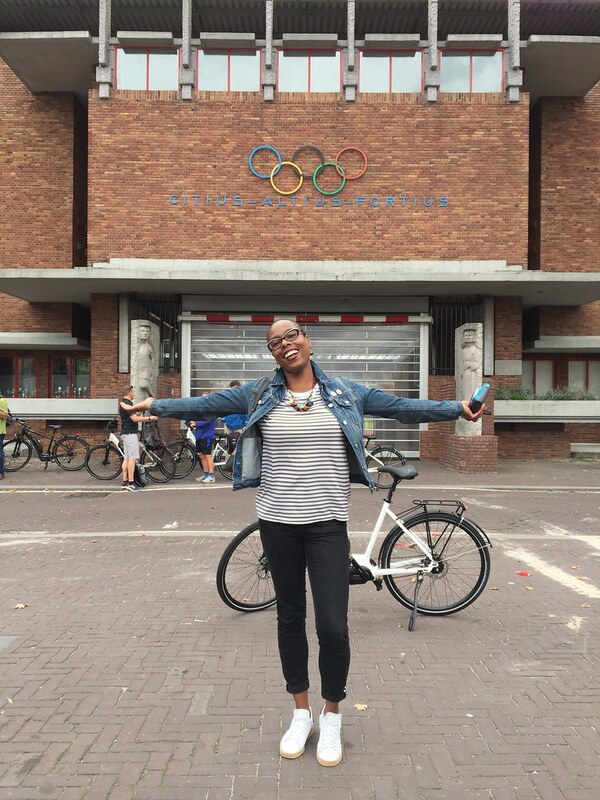 Other than fulfilling a cycling-dream by riding in Amsterdam, doing it on an e-bike was a total blast, and gave me food for thought – especially on those old and somewhat tired tropes I mentioned earlier on. E-bikes are SO MUCH fun to ride! 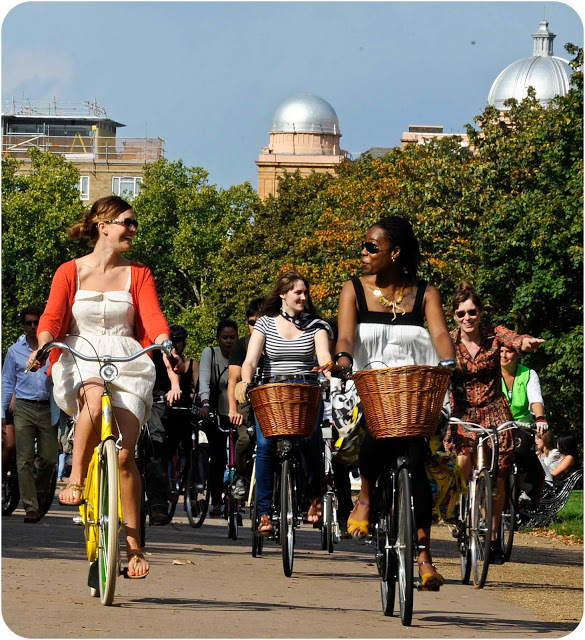 It’s not cheating (cycling isn’t always a competition) and they help remove some of the barriers to entry that can stop some people from riding bikes. 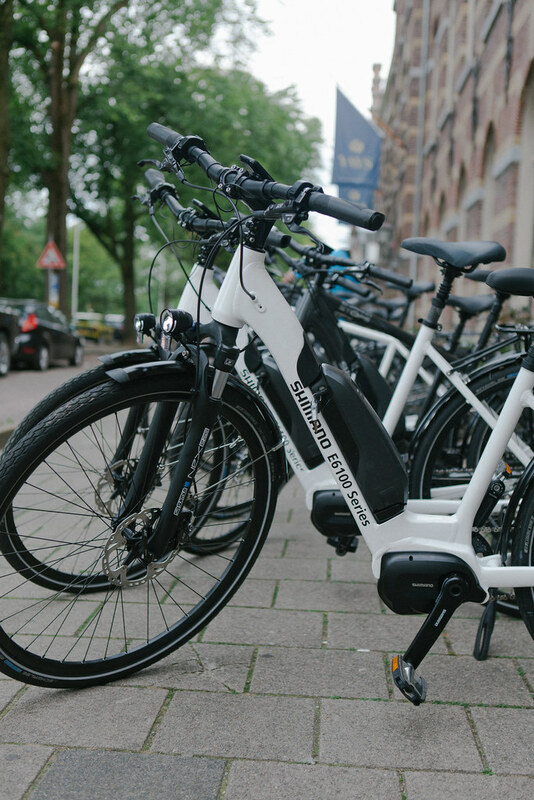 I’m thrilled I got the chance to check out an e-bike properly after all these years, and can see myself going on them more often thanks to the joy of using the Shimano STEPS system – thanks for an awesome experience! More technical information on the E6100 system (which is due for release this autumn) can be found on the SHIMANO STEPS site.